World Book Day is an annual event celebrated every year across the world on 23rd April to promote and publicise reading, publishing and copyright of books. World Book Day or World Book & Copyright Day also called as International Book Day is a celebration of authors, illustrators, books and significantly readers. It is chiefly marked in over hundred countries around the world. 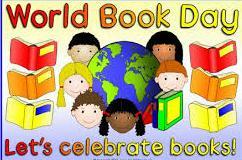 World Book Day was first organised & designated by the United Nations Educational, Scientific and Cultural Organization (UNESCO) in the General Conference held in the year 1995. The UNESCO designated 23rd April as World Book Day to acknowledge & pay a world-wide tribute to books and authors as this day is a symbolic date for world literature. On this date (23rd April 1616) great authors like Cervantes, Shakespeare and Inca Garcilaso de la Vega all died. This date also marks the birth anniversary of prominent authors like Maurice Druon, Haldor K.Laxness, Vladimir Nabokov, Josep Pla and Manuel Mejía Vallejo. The UNESCO and the international organizations every year select the World Book Capital on 23rd April for the period of one year. The World Book Capital exhibits the three major sectors of the book industry -Publishers, Booksellers and Libraries. it is organised to encourage people for reading books. The World Book Capital demonstrates the quality of its activities, supported by the entire book industry. The main aim is to make books accessible to the city’s entire population, including migrants and refugees. This year UNESCO has selected the city of Athens in Greece as the World Book Capital-2018.